Im sticking with the primary bear count though the expanded ED still looks viable to me, possibly a blow off top into year end wouldn’t surprise me….. I think at the very least the huge gaps below get filled before starting up in a potential year end rally into the middle of Jan 2019…..
Daily charts look good for a rally but FOMC day…. 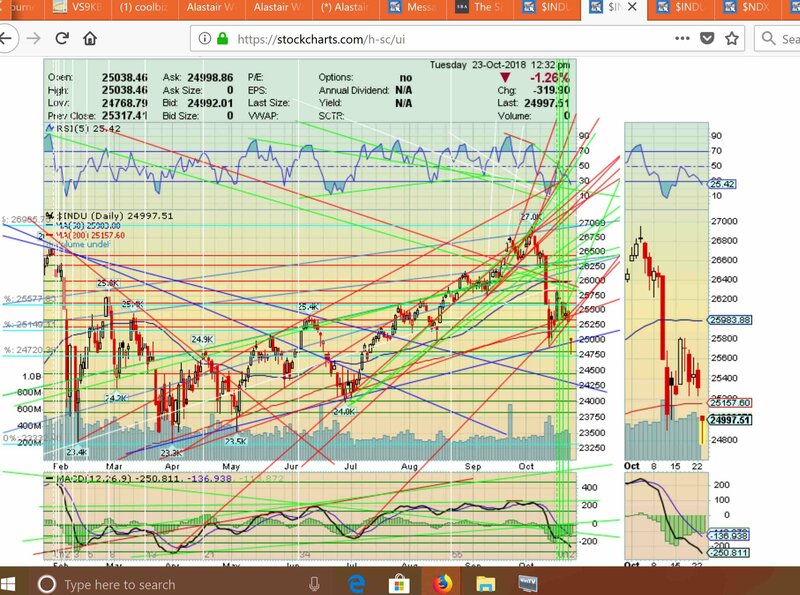 Thinking I may buy in small @2777 if we get there and I expect a marginal new ATH by the end of the month BUT 26K on the DOW, and the 50 MA on COMPQ @7527 gotta hold….. Still no trading for me, been busy with other things though it looks like a traders market…. Going into the election and next weeks FOMC meeting should be volatile, I could see that huge gap on the downside getting filled then a rally attempt into year end…. OR the bear is just getting started, either way one more UP and historic new highs or not I expect a train wreck regardless of the election outcome next year and potentially for a LONG time to come and of course “nobody” saw it coming…..